Dr. Abraham graduated from college from Northeastern University, and received his M.D. degree from the State University of New York in Syracuse. He performed his internal medicine residency and fellowship at the University of Pittsburgh. 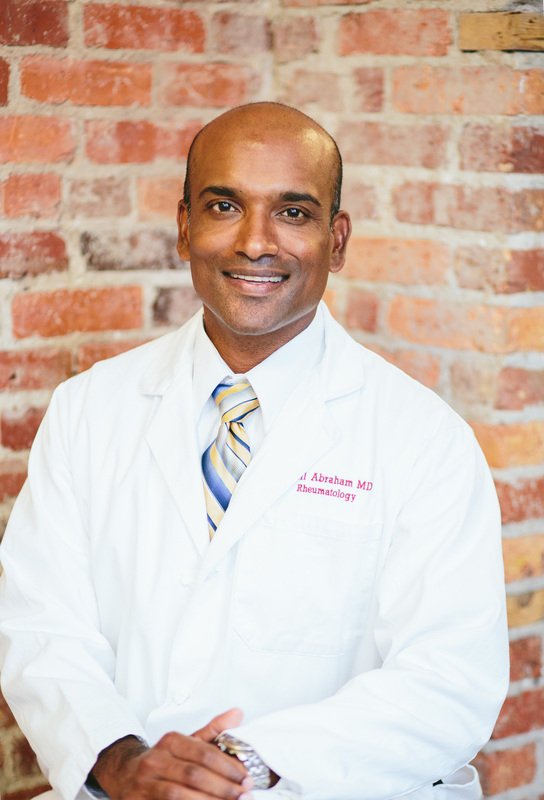 Since 2010 he has practiced rheumatology in the Albany, New York area where he served as Clinical Assistant Professor at Albany Medical Center, and has taken advanced coursework with the American Association of Physician Leadership.